Voters are called to the polls to elect the new members of the People's Majlis. 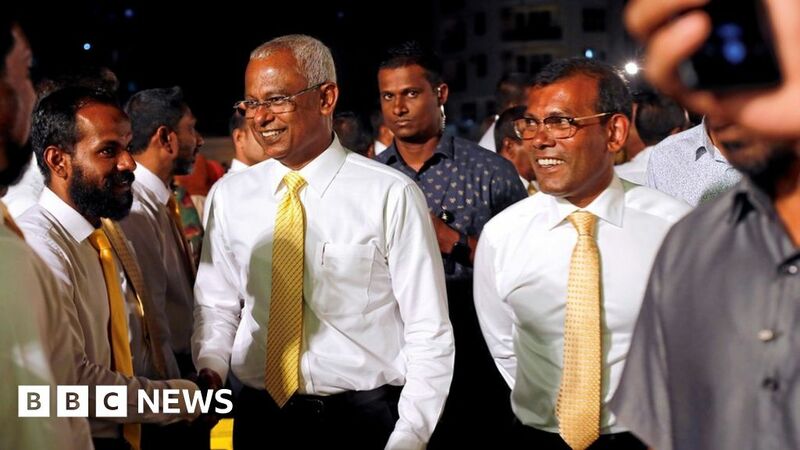 Preliminary results give the victory to Maldivian Democratic Party, led by former President Mohamed Nasheed. 2008-10-29 Mohamed Nasheed of the Maldivian Democratic Party is elected President of the Maldives in the country's first democratic election. 2015-02-22 Former President of the Maldives and current Opposition Leader Mohamed Nasheed is arrested. 2013-02-13 Former President of the Maldives Mohamed Nasheed takes refuge in the Indian embassy in the city of Malé, Maldives saying that his trial for political abuse and corruption is a "politically motivated sham". 2012-10-1 Mohamed Nasheed, the former president of the Maldives, fails to appear in court and departs on tour for his party. Vice-president Mohammed Waheed Deen, opening an academic conference in Malé, says a nation can achieve democracy by the teachers imparting the relevant information.